This white form of Scilla siberica (Siberian squill) looks best when planted in drifts, lighting up a shady woodland corner beneath a tree perhaps. 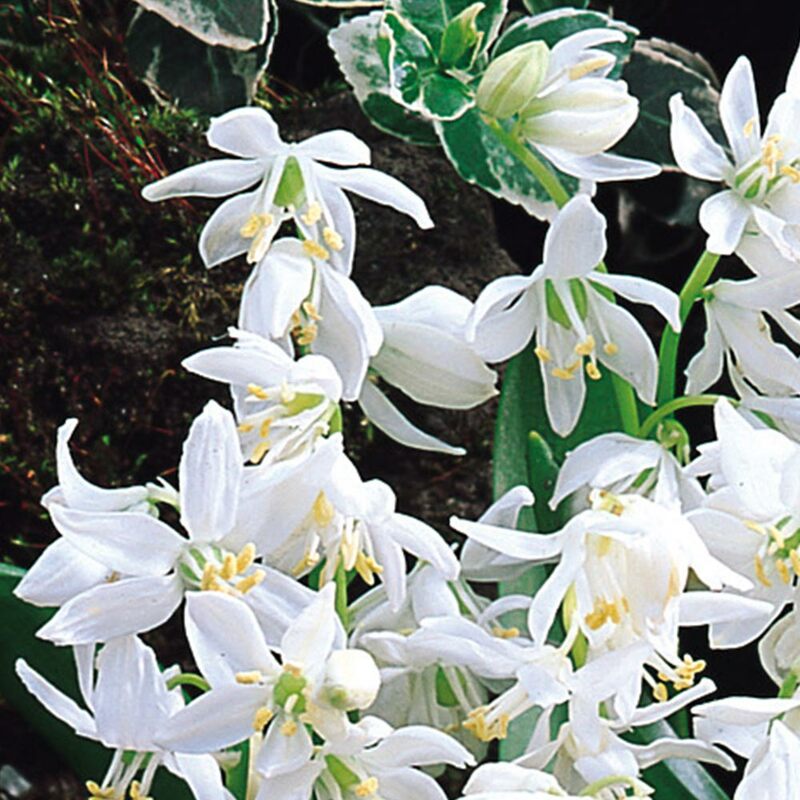 These brilliant white flowers are very easy to grow and are squirrel proof. Wiry stems are topped with up to five nodding, bell-shaped flowers in March and April. Accompanied by slender, strap-shaped, glossy, mid-green leaves, Siberian squill are perfect for naturalising. 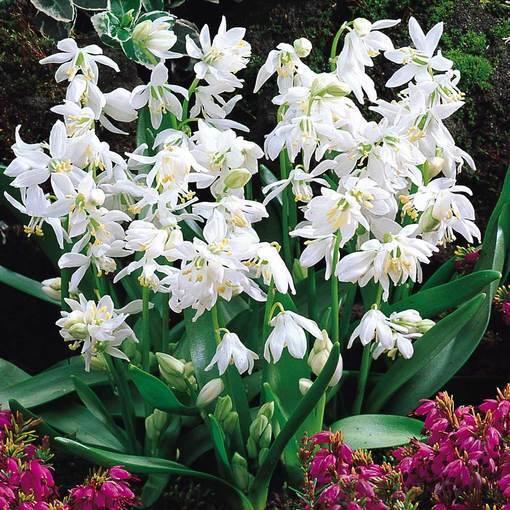 To achieve a natural looking display, throw handfuls of bulbs over the ground, planting them where they fall. Height 10cm. 6/7cm bulbs supplied. Planting Plant at approx 5cm deep. Plant bulbs 5cm deep in fertile, humus rich soil in groups. It is important that the soil is well drained. Water freely once the growth begins to appear and can be left to naturalise over a period of time. A great long term investment as they will multiply very quickly.